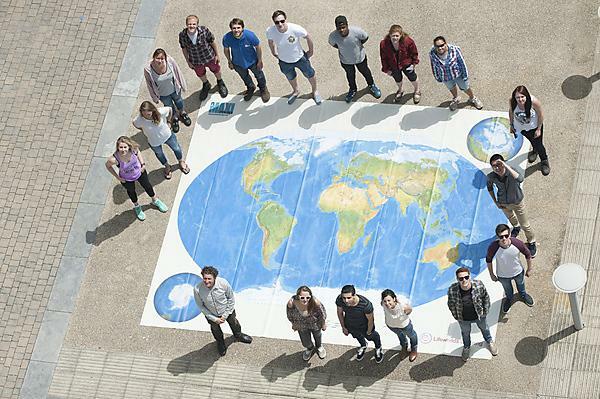 The University of Plymouth has committed to a new global initiative that will help embed Sustainable Development Goals across post-16 education. Announced at the World Congress on Environmental Education (WEEC) held in Vancouver in September, ‘The SDG Accord’ is the higher education sector’s collective response to the Sustainable Development Goals (SDGs) established by the United Nations. The University has signed the Accord, recognising and advancing the critical role that education has in delivering the SDGs and the value this brings to governments, business and wider society. The SDG Accord reflects the key role educators have in creating a new generation that can and will balance people, planet and prosperity. The Accord is also a commitment from one institution to another that they will share the learning they accrue on the topic with each other both nationally and internationally, and annually report on their progress. A sector overview of progress will then be presented annually at the global progress review by the UN High Level Political Forum. “This is a huge step in the right direction to better show the world the value of universities, colleges and students. The education institutes responsible for moulding the minds of the next generation of leaders and change agents are accepting a central role in ending some of the most critical global challenges. We are collectively saying we will do everything in our power to address issues like gender inequality, poverty, hunger, lack of education, affordable energy, climate change, peace and resilience. Our big ambition is to be the sustainable university, with an equally big goal to be carbon neutral by 2030.